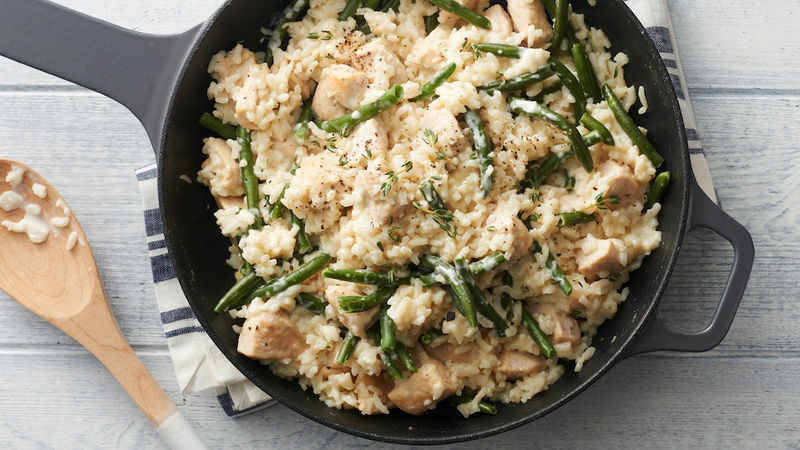 In 12-inch nonstick skillet, heat oil over medium-high heat. 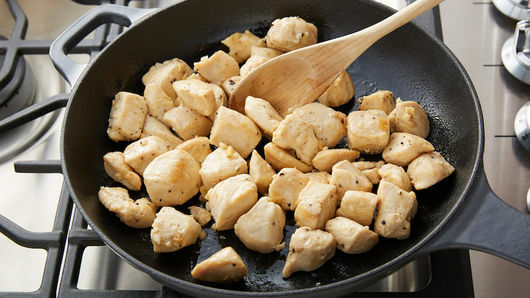 Add chicken, garlic, salt and pepper; cook 5 to 7 minutes, stirring occasionally, until chicken is no longer pink in center. Add rice and chicken broth. Heat to boiling. 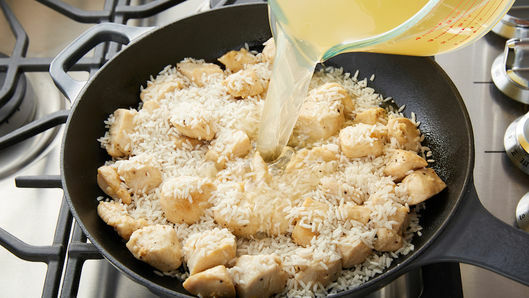 Cover; cook 10 to 15 minutes, stirring occasionally, until almost all of liquid is absorbed. 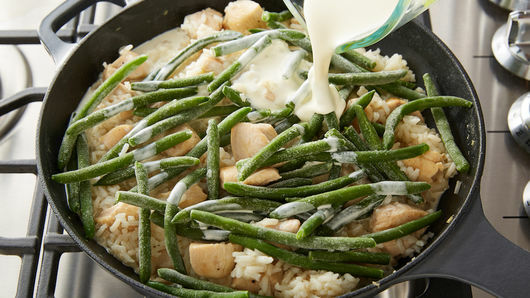 Stir in green beans and whipping cream. Cover; simmer 5 to 6 minutes or until thickened and beans are tender. Add 1 teaspoon chopped fresh thyme for a fresh herb flavor. For a complete meal, serve with a fresh garden salad.